Boy it has been a busy day, but one more huge item to post about. In support of the ArcGIS Explorer release yesterday ArcGIS Online ESRI has pushed out the 2D and 3D maps with their detailed image map service. This week marks the completion of a high-resolution imagery layer for the United States in both 2D and 3D. The layer includes i-cubed Nationwide Prime 1m or better resolution imagery for the contiguous United States. I-cubed Nationwide Prime is a seamless, color mosaic of various commercial and government imagery sources, including Aerials Express 2-foot imagery for metropolitan areas and the best available USDA NAIP imagery and enhanced versions of USGS DOQQ imagery for other areas. 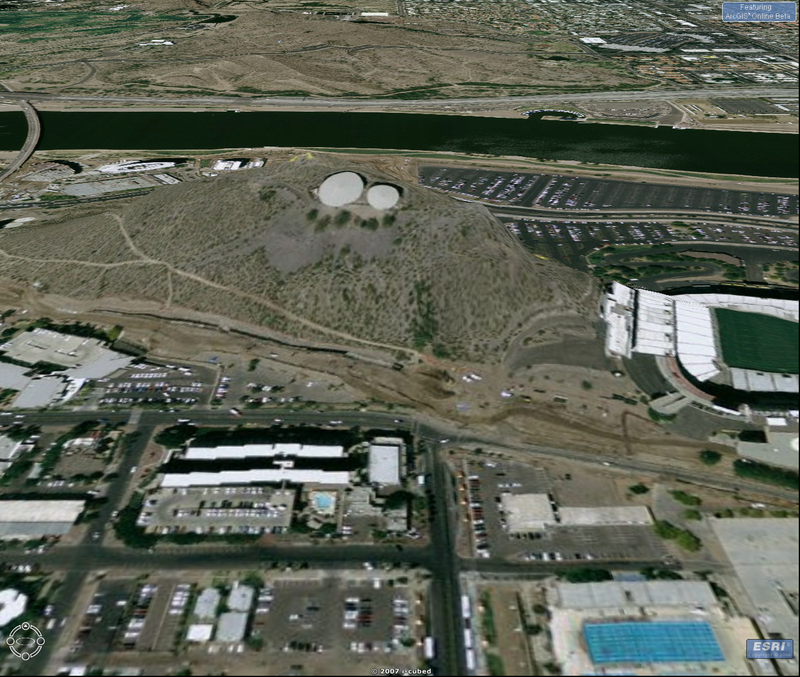 Here is the view of downtown Tempe in ArcMap. I’d throw up a Globe view but all our 3D Analyst licenses are being used right now.